Jennifer has never been to Calvert Trust Kielder and before she decided to book a full weeks stay came to visit us, and give us a test run. Jennifer brought two carers with her, and decided to fill her day with the King Swing and Swimming pool. 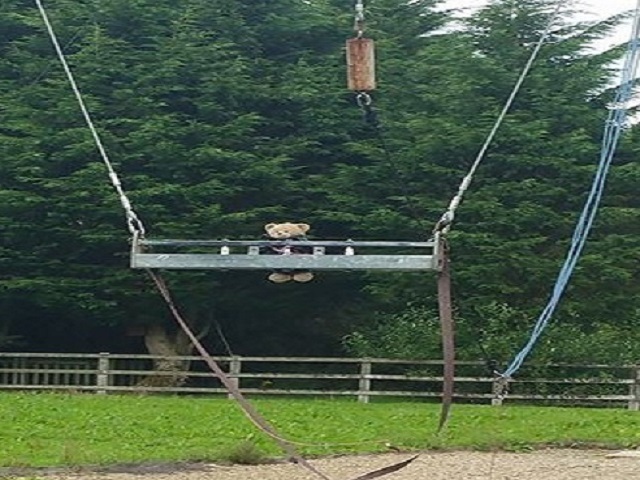 Whilst waiting for the swing, Jennifer was able to watch Emily, a regular at Calvert Trust Kielder be hoisted up to the swing before flying from a height of 30 ft.
Jennifer was given a private space to have the harness fitted before coming down to the King Swing, from here the specially adapted harness was raised to the Swing and secured on. Jennifer, was then joined by one of her carers as they went up half way, for their first swing. Jennifer's beaming smile after this first adventure, lead to both being pulled to the top of the swing for their second go! Another great smile and a third go requested. Jennifer loved the King Swing and the freedom and adrenaline it gave her. 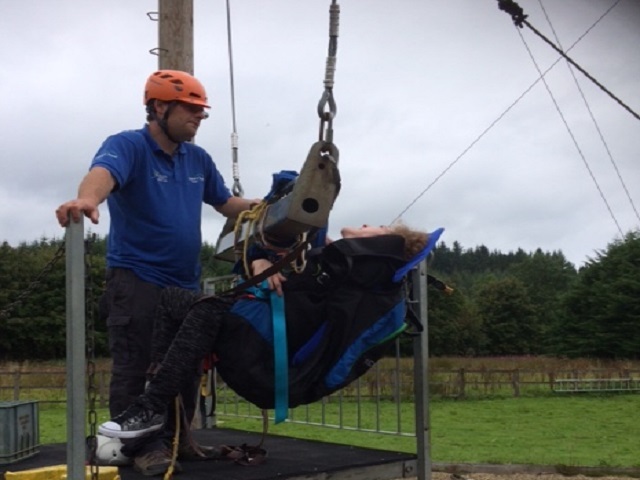 Jennifer's carer said of the King Swing 'I was so surprised about how comfortable Jennifer was in the harness, she was calm and relaxed and well supported. Jennifer was smiling throughout the Swing and it was great to see her so happy'. 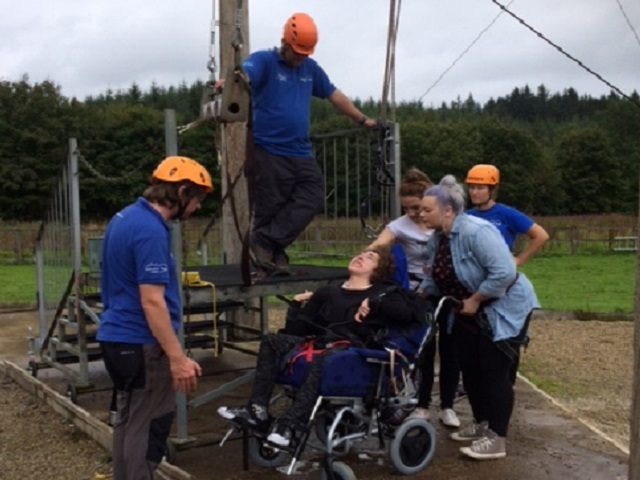 Jennifer loved her day at Calvert Trust Kielder and if you would like to try our activities then contact our Team on 01434 250232. 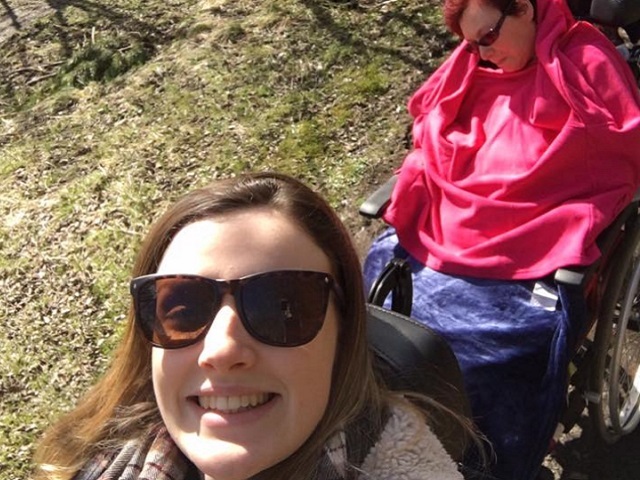 Following on from Kate's first blog last week, the next part of her story focuses on the first two days of her stay and the struggle she had to find her own voice and not just do everything from the fear of saying 'No'. Monday - I rested all morning and got the Calvert Trust Kielder transport bus up to Kielder at about 1pm. Because my WAV still isn't here and I wanted to take my electric chair, they came down with the bus so I could get it all strapped in. It's a good job they bought a bus with the amount of things I took with me. My medication bag was nearly the size of me, considering I was staying 4 nights it was pretty impressive. 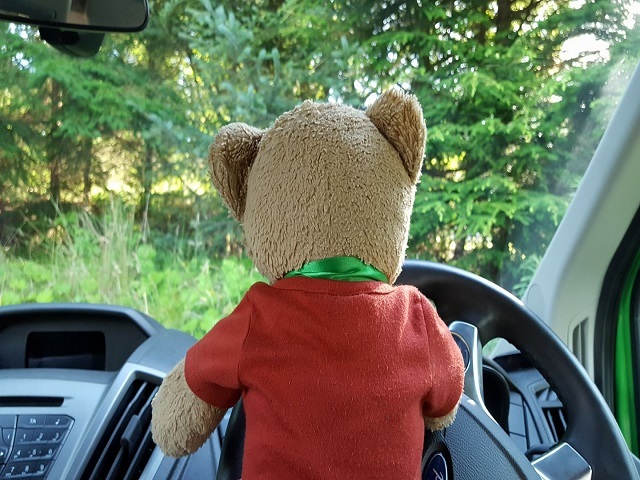 We had a cheeky stop on the way to get some chicken and sweets (which weren't consumed together) and arrived at Calvert Trust Kielder . The first thing I looked at was my phone from habit and was so relieved to find there was no signal, before realising my mum would worry like mad! We got off the bus and I parked myself up in the lounge area. I was shown to my room which was surprisingly spacious and I was so relieved I had an en suite as I'm funny like that! I rested for an hour of so before having dinner with everyone in the cafe. The meals are all home cooked and Kate friendly. There's more stories on the Kate-friendly food to come! I sat with everyone in the lounge in the evening and we decided what evening activities we wanted to do throughout the week. 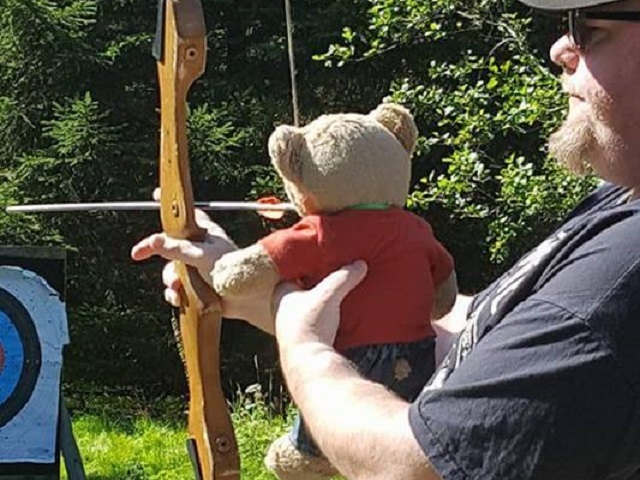 Then, the group decided tomorrow morning they would do archery/laser clays then in the afternoon motor boating. Me, being me, I was like 'yep I'll do them all' until one of the guests said she would like a lie in and I realised it's ok to rest. I then spoke to the carer and said that realistically, I do an hours activity a day so I usually rest in the morning and I'd be better doing something in the afternoon (as the morning there starts at 7am, I've never heard of that time...) and they were totally fine with that. 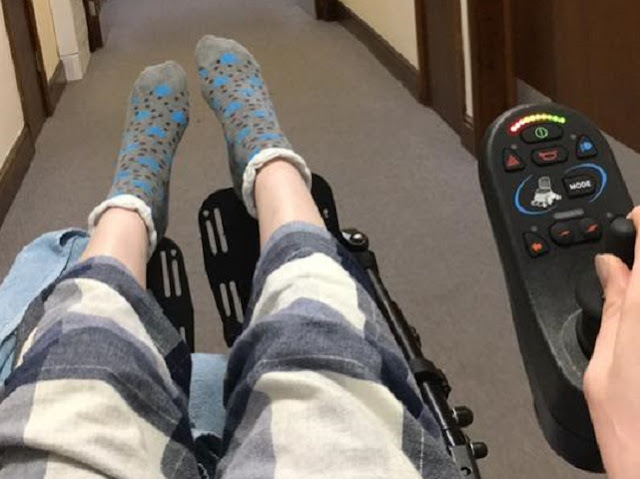 I stayed up a little longer to play a game with another guest (giant connect 4 in electric wheelchairs is a nightmare when every time you accidentally ram into it all the counters fall out the bottom for the record...) and went to bed. I had a fairly panicky night, what with being my first night away, but I think I coped fairly well. Tuesday - After a lie in, Rachael, Julie & I (Rachael is from Rosedale Leasing and Julie, her mum, is the other sponsored guest) decided to go for a little walk. I was being all professional, getting a map and directions. I started off with the map upside down then forget every single direction we got given. 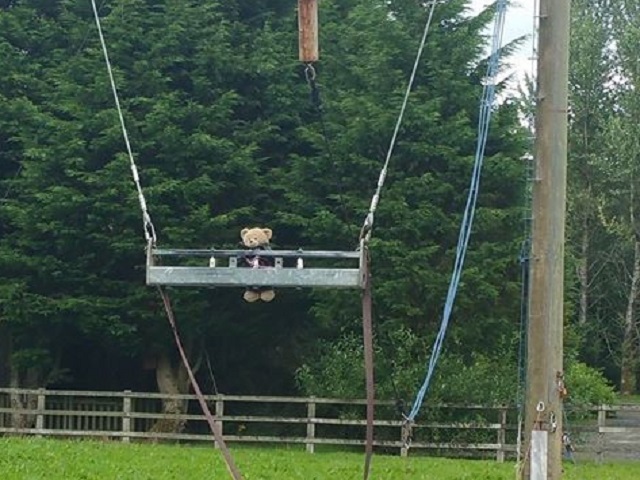 My chair has good suspension, but poor old Julie was bouncing around so much I was concerned we might have lost her at one point (out of the chair, not died, I must add, Rachael is not that badder driver....). After our lovely little bonding trek we get to a metal gate. Now Julie is a whole foot smaller than me, meaning her wheelchair fits under the gate. I put my wheelchair in recline, the only way I personally could think of tackling this scenario, and attempt to limbo underneath (shaking my shoulders for the full effect). After nearly being concussed we realised my height had failed me once again. So, the only way around was to go a good mile down the incredible bumpy track again and miss lunch (we are not one to miss food), or, go around the gate. Either side of the gate were 2 massive bogs of mud followed by steep inclines. I slowly drove the chair through and realised when I was fully in this was not the best plan. Totally stuck, with the heaviest chair, I had no signal. Rachael and I then spent the next 20 minutes trying to lift and pull the incredibly heavy chair out of the mud. We eventually did it, I had to be hosed down when we got in it was that bad, but we had lunch and Julie laughed most of the way back so at least we made her smile. After lunch, we went on the motor boats. I'm not going to lie, I was dreading this. I have a phobia of being trapped and feeling sick, so boats aren't my favourite things. The first 10 minutes was amazing, sunny weather, lovely view and I was just really proud. After then I started to get anxious and by the time we got to the first stop I really wasn't good. So I went from my wheelchair to lying on the boat floor waiting for my medication to kick in and tried to get myself through the rest of the journey. I had a chat with a lovely carer who helped me prioritise which activities I'd love to do and talked with me for awhile as she knew I was upset. I did have a bit of a private emotional breakdown afterwards, then went through to phone my mum and just needed to cry to her as the boat had rocked me (see what I did there...). But, I refocused. 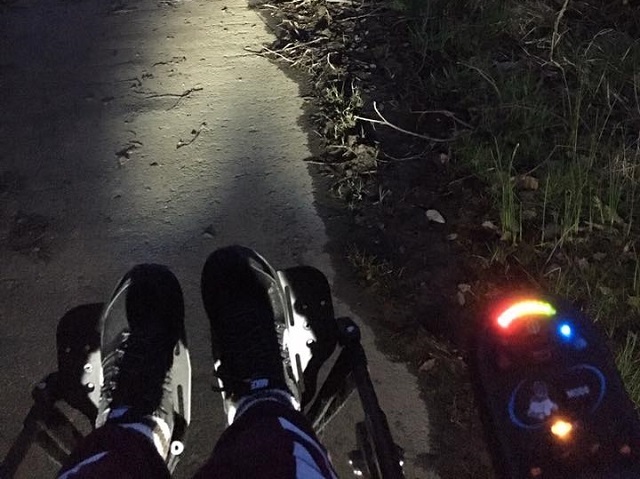 It was a night walk so we went out at dusk around the nature trial which was really nice as the evening activity - the first time I've tried my wheelchair lights out too which was a bonus! Called it a night and went to sleep as I was so emotionally drained after that but ready to take on tomorrow. 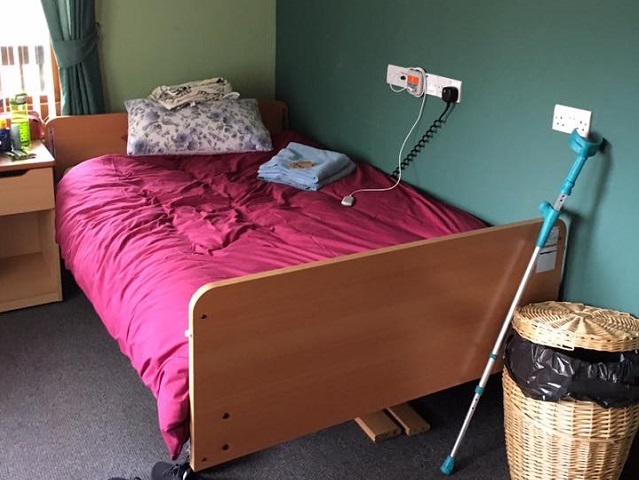 To find out how Kate's week continued and what over adventures her, Rachel and Julie got up to see Kate's Respite Stay - part 3. 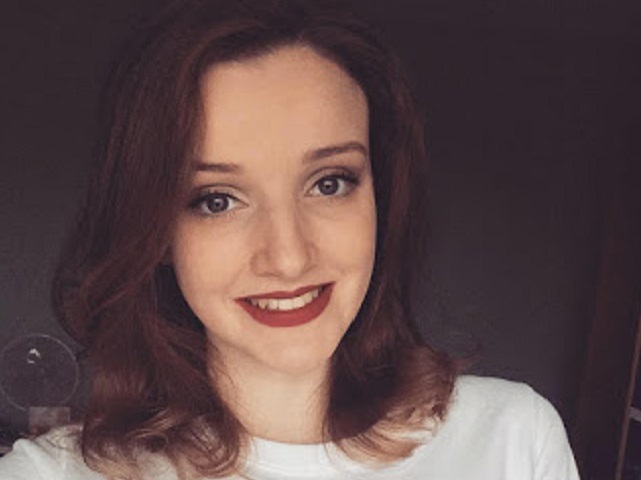 Find out more about Kate at her blog. 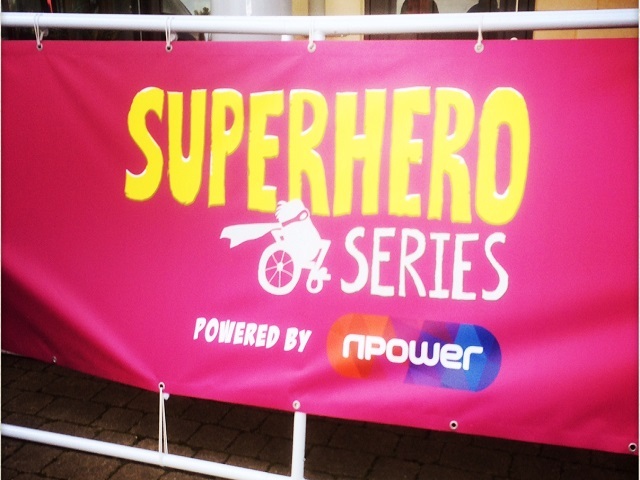 #TeamCalvert feels Super about Superhero Tri! 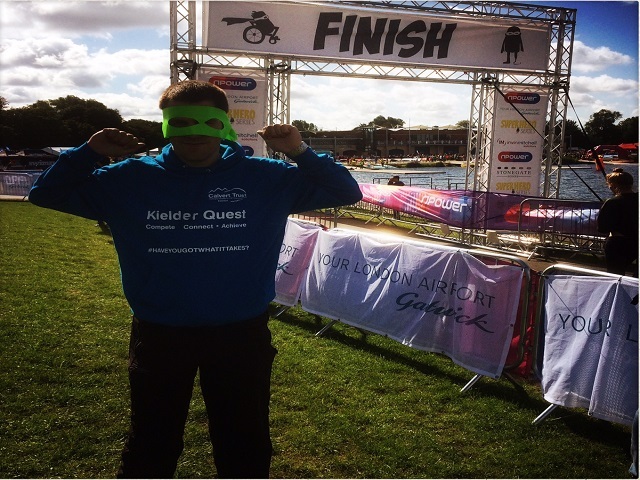 On the 19 August Calvert Trust Kielder and Calvert Trust Exmoor went to Dorney Lake for the Superhero Triathlon. 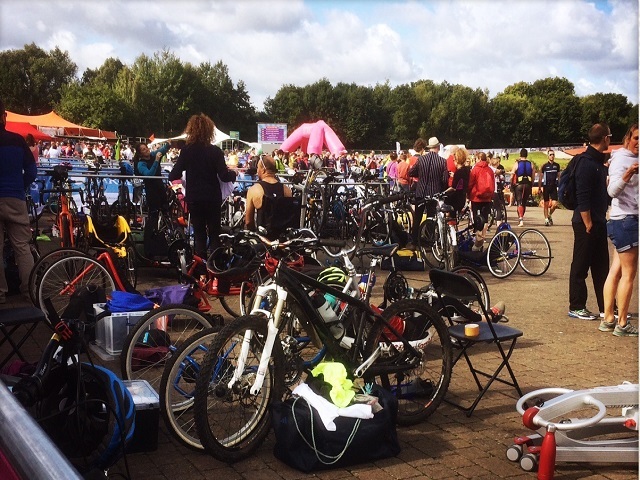 The event consisted of different distance triathlons, with no time constraints and an anything goes policy, that allowed all participants to use any equipment they needed, to complete the race. With celebrity teams, paralympians and a race completely designed with accessibility and disability in mind, we had to be there! 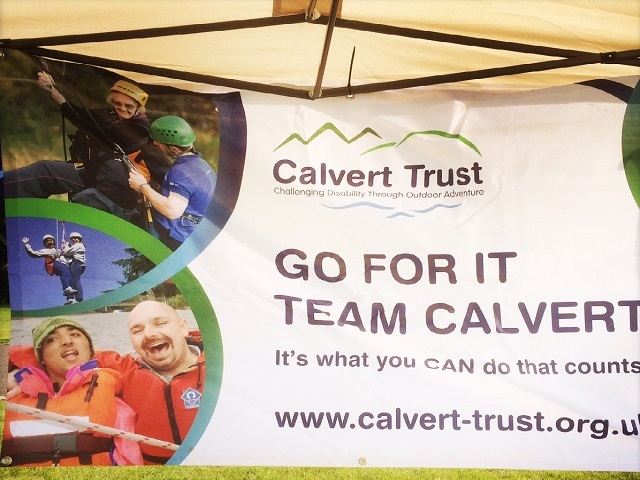 Our Fundraising team, arrived early on Saturday morning and set up the gazebo, giant connect 4 and everything you might need to know about Calvert Kielder and Calvert Trust Kielder . Before exploring the fantastic Dorney Lake venue. 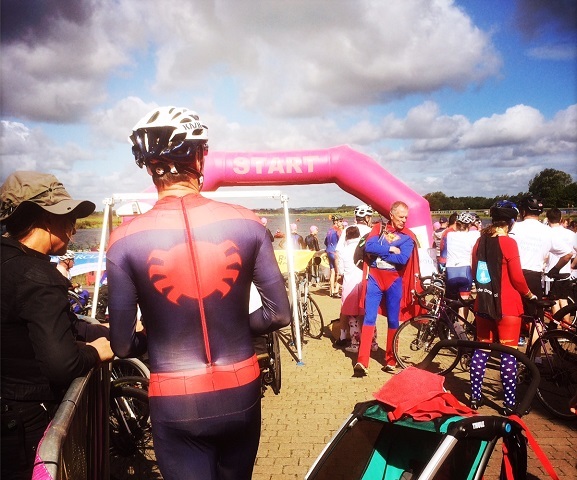 The day was a bit breezy and it made it hard for the swimmers who had to go against the current in the lake but otherwise the sun was shining and the participants were all in Superhero mode. 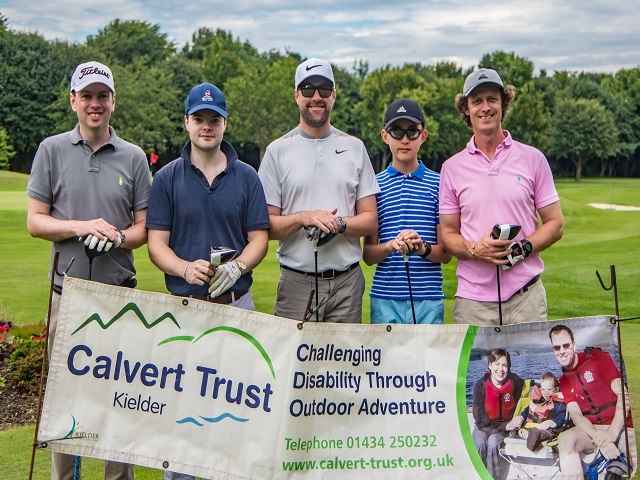 Our Fundraisers watched the Celebrity teams start the day before cheering on #TeamCalvert. The last #TeamCalvert group of the day was Superhero Daisy supported by Mum and Dad. 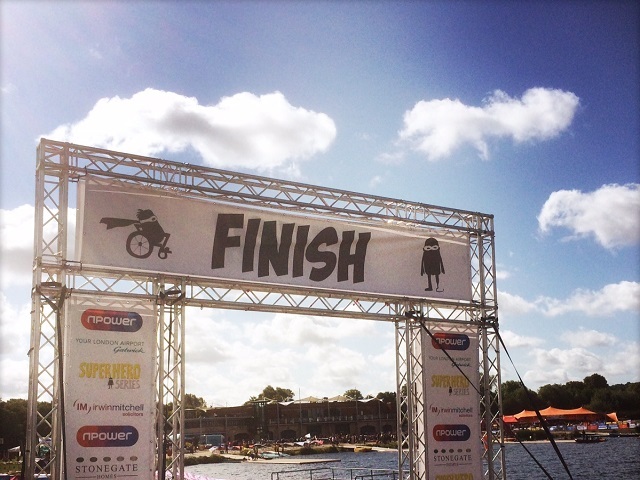 Daisy had been excited all day and it was great to see her paddle the lake on a paddle board, cycling in an adapted bike and final running to the end! Calvert Trust Kielder and Calvert Trust Exmoor couldn't help but yell themselves horse throughout the day cheering on all participants. It was an amazing day, watching families, friends and Superheroes cross the Finish Line after being able to take part in an event catered for everyone. 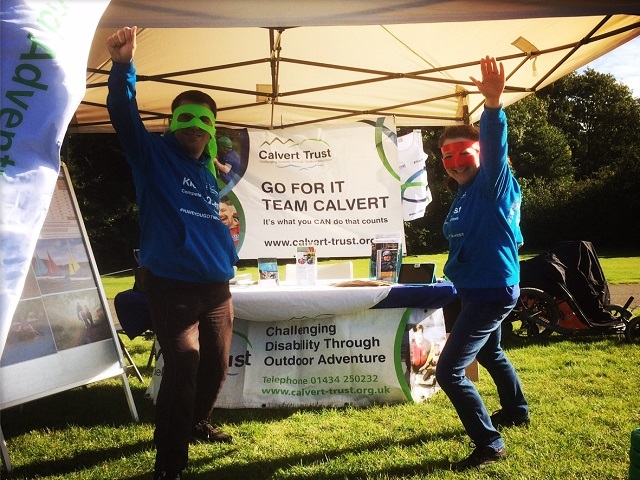 If you would be interested in taking part in the Superhero Series as part of #TeamCavlert then contact our Fundraising Team on 01434 250232. 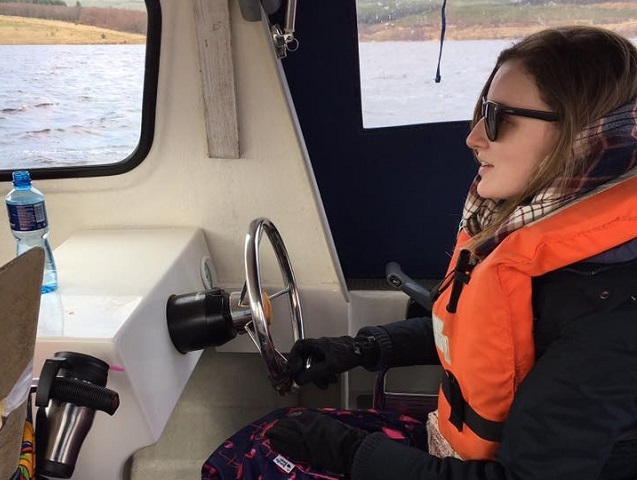 Kate Stanforth was invited to stay in Calvert Trust Kielder's respite for a week of care, courtesy of Rosedale Leasing’s charity of the Year initiative. During her stay, Kate was able to experience a holiday like no other, where she could stay, rest and play throughout the week. Kate found her own independence through being away by herself for the first time, she was in full control and free to make her own decisions. Kate is 22 Years old and has a number of chronic, life changing, illnesses; She looks at life with a different perspective. 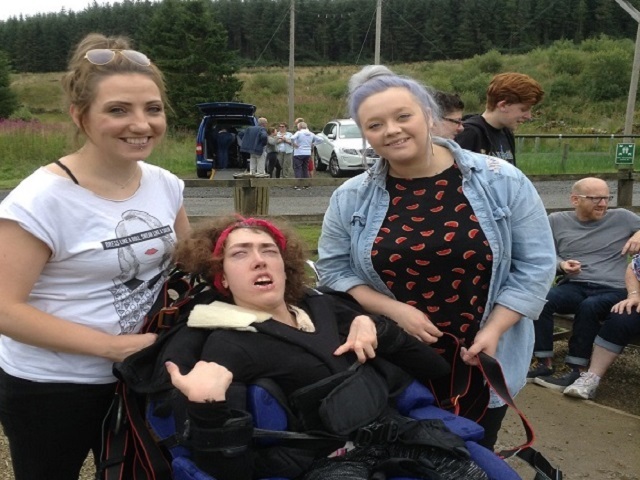 Kate and Calvert Trust Kielder first came to know each other through Kate’s volunteering at Calvert Trust Kielder’s events, such as The Calvert Ball and Family Festival. Follow Kate’s story through the following weeks to discover how her holiday went, in her own words. Now, a little about each one. 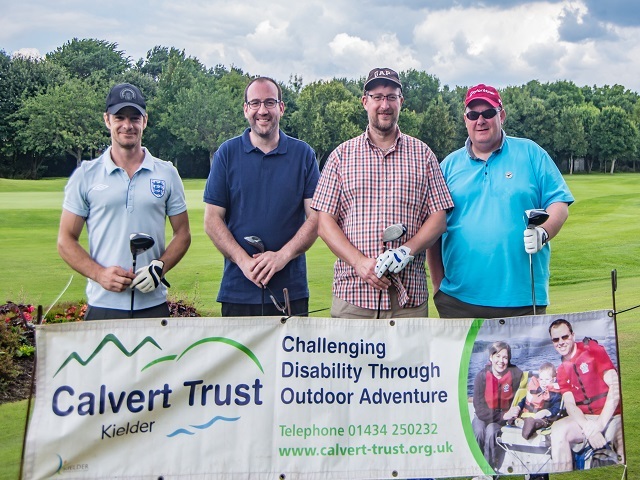 Calvert Trust Kielder is a registered charity and it isn't just any respite break. 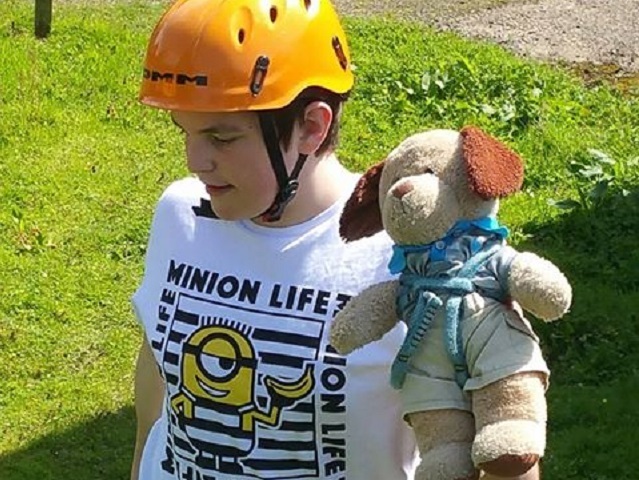 They encourage guests of all abilities to achieve their potential through outdoor adventure. 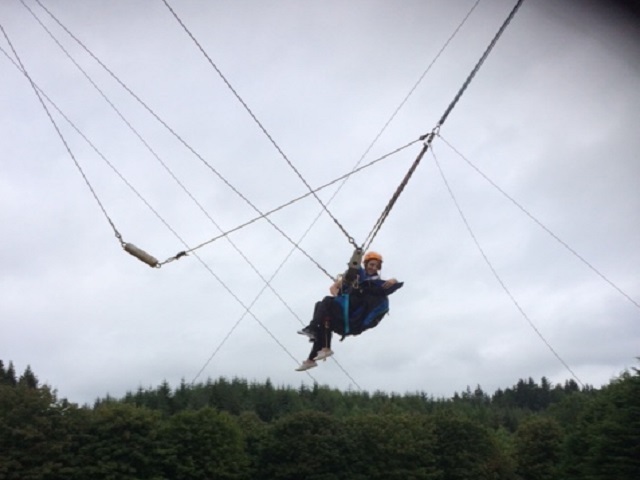 Located in Kielder Water Forest & Park, it is a beautiful setting with lots of opportunities to do various activities from crafts to zip wiring. 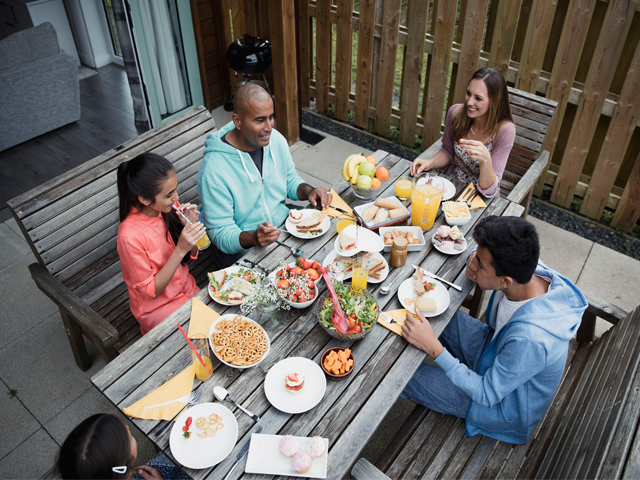 For the respite care, they have special activities like themed weeks throughout the year and staff really go the extra mile to adapt to the needs and likes of each guest. I met the Rosedale Leasing team for an hour before my respite and I honestly have never met such a lovely bunch of enthusiastic staff. With such a great atmosphere, and being such a charitable company, I was thrilled to support them in their (huge) fundraising mission they had to tackle! They will be doing parachute jumps, Great North Run, fairs, auctions and whatever else they have up their sleeves - I cannot wait. 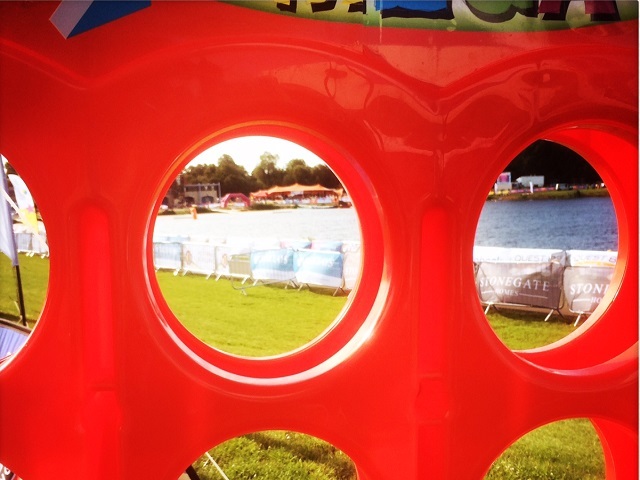 The bubbly team are well on their way with their target, so I'll keep you update on that! We have been pushing for nearly a decade to get some form of respite care, more so to give my parents a break. It's hard for people who don't know me very well, or who might just follow on social media, to see how my illness really affects me. I do tend to give a very 'positive' view online (although not in person sometimes!) so it's difficult to see. I am classed as needing 24h care, I have to have regular checks if I'm not with someone and things can change with me very fast. So because of this my parents always have to be on 'alert'. So, it was time they had a break. So much so, when I was collected, the driver thought my mum was the one going for respite she looked that tired (sorry mum!) so it was really needed. I needed it too. I needed to get out of my room, disconnect from my phone/Project Parent/helping people, breathe some fresh air and enjoy nature. Most importantly, I wanted to really test my anxiety with staying away from home too - this was a huge step for me as I haven't been away without my mum in about 4 years so I wanted to try. Oh, and I love outdoor activities so this was so perfectly matched. Follow Kate's stay on our blog in the coming weeks, to see how she coped with being away from home, a new environment and the thrill of activities, she never thought she would be allowed to do. Find out more about Kate on her blog. 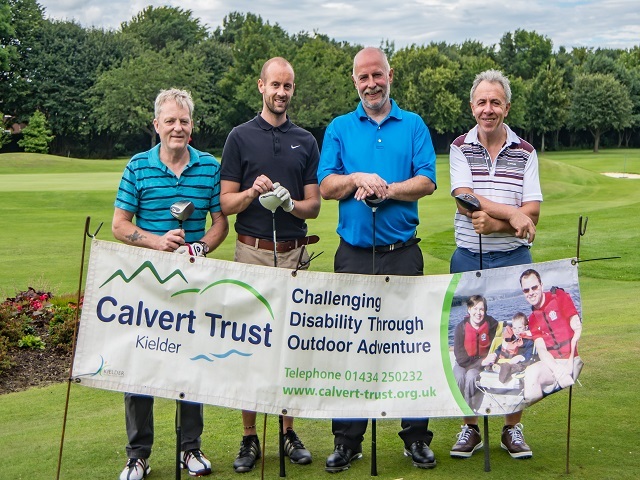 A charity golf day has raised £3,800 to support services for disabled people, their families and carers at Calvert Trust Kielder. 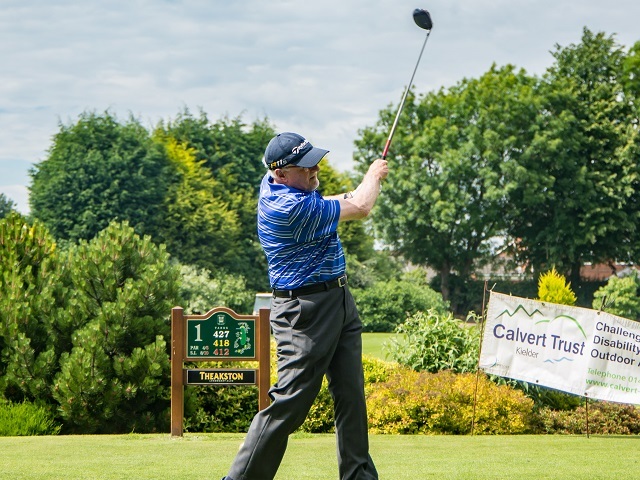 The annual golf day was held at Ponteland Golf Club this year and was sponsored by Brewin Dolphin, Patricia Arnold and last year’s winners, Rainton Construction. 36 players across 9 teams from local businesses including Handelsbanken, Garwen Enterprises and the Royal Grammar School battled it out to take top prize and the ‘Calvert Cup’ with the eventual winners declared as Apex Radio. Other winners on the day included Graeme Watson who won the putting competition and Mark Bell who got ‘straightest drive’. 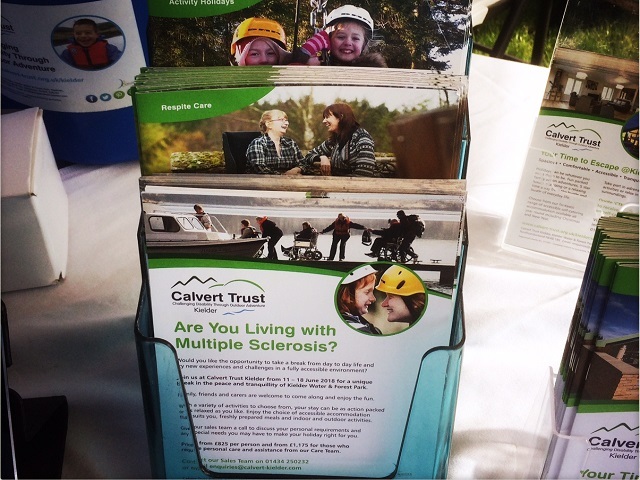 Charlotte Crumbley, a fundraiser at Calvert Trust Kielder organised and managed the event. 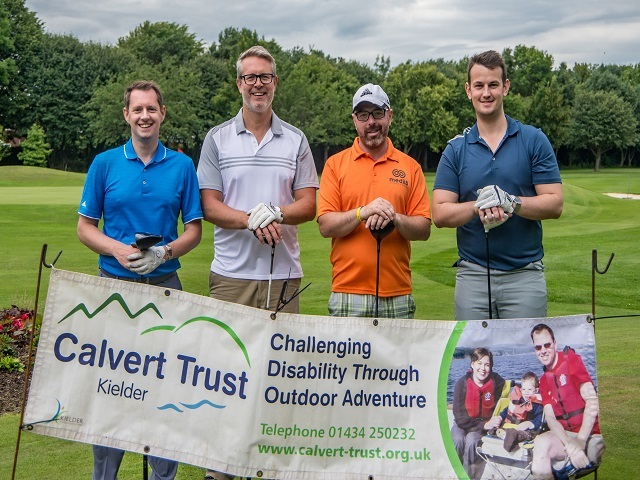 She said: "This year’s golf day was another resounding success with a fantastic effort from all those involved and a fantastic amount of money raised for the charity. 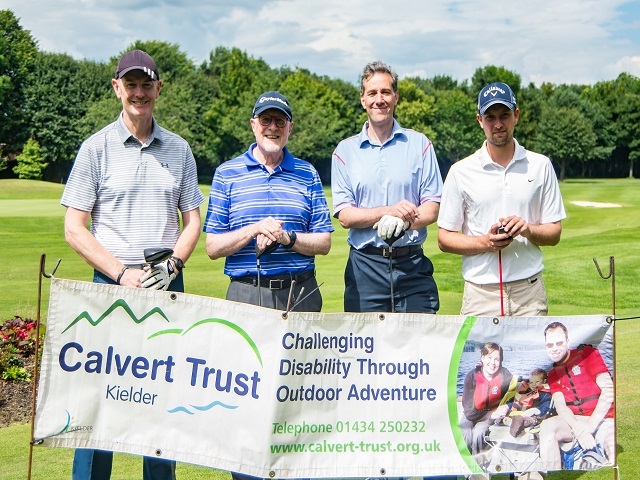 The golf day is just one of many corporate and community fundraising events organised and/or supported by Calvert Trust Kielder each year. 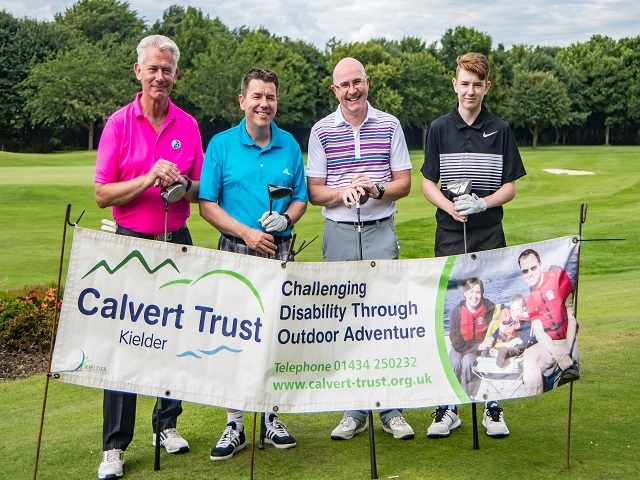 BDaily has featured a new story about the Golf Day and all the action and can be viewed Here. Our golf Day has also been featured on NEConnet and can be seen here. The next big fundraiser for Calvert Trust Kielder is The Calvert Ball, a glittering evening of good food, wine and entertainment taking place on 13 October 2017. For further information, contact the fundraising team on 01434 250232. Hexham Courant has written about our Golf Day on Thursday 13 July. 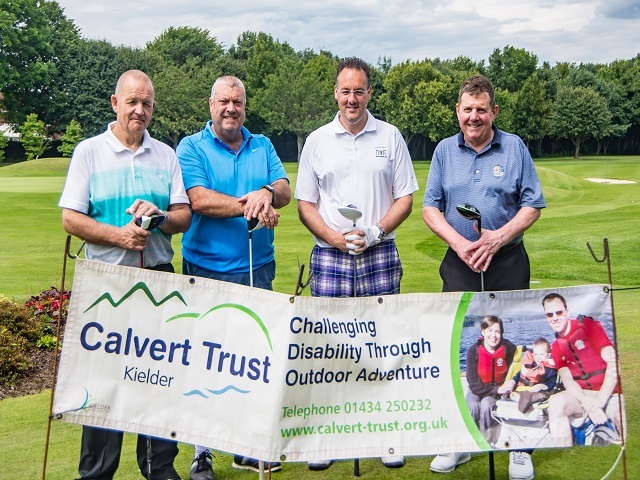 A charity golf day has raised £3,800 to support disabled people and their families and carers at Calvert Trust Kielder. 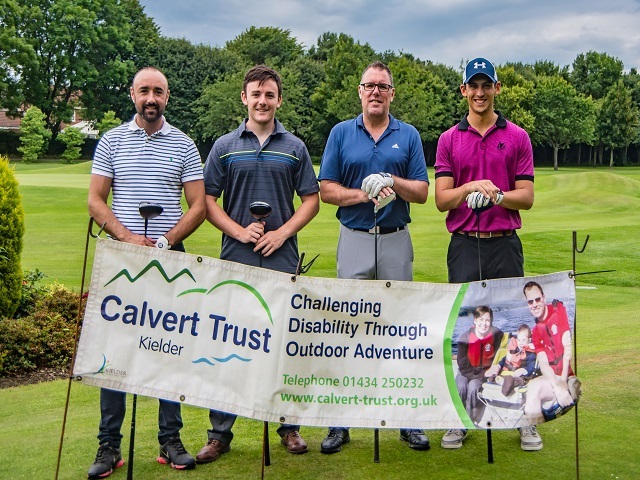 The annual Calvert Trust Kieldergolf day was held at Ponteland Golf Club and sponsored by businesses Brewin Dolphin, Patricia Arnold and last year’s winners, Rainton Construction. The game involved 36 players across nine teams, including local businesses Handelsbanken and Garwen Enterprises and the Royal Grammar School. They battled it out for the Calvert Cup, with the eventual winners declared as Apex Radio. Calvert Trust Kielder will be exhibiting for the very first time at YORTRAIN GOLD on 3 October 2017 at the Pavillions of Harrogate. Organised by Yorkshire Care Equipment, the event is completely free to attend and gives healthcare professionals and other like minded people the opportunity to get together to talk about issues surrounding the healthcare sector. 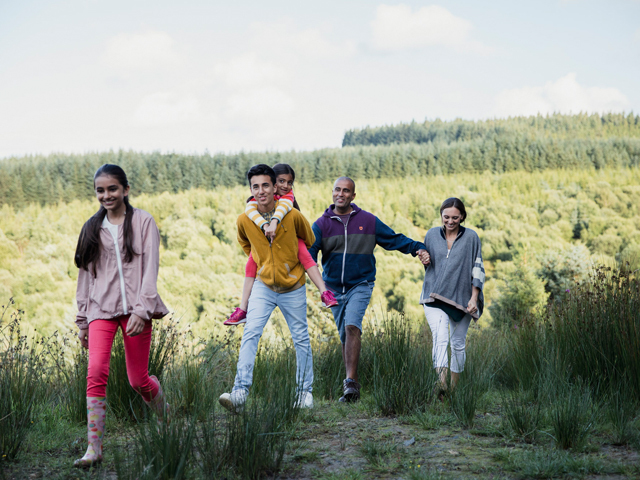 We will be talking all about our range of holidays and short breaks at our centre in the stunning Kielder Water & Forest Park. YORTRAIN GOLD gives 350 OTs, case managers, and other healthcare professionals across the north the opportunity to get together for a free day of training, networking, and problem-solving. This conference has been held annually for the past 5 years, and aims to give attendees an opportunity to take a look at some of the latest products. 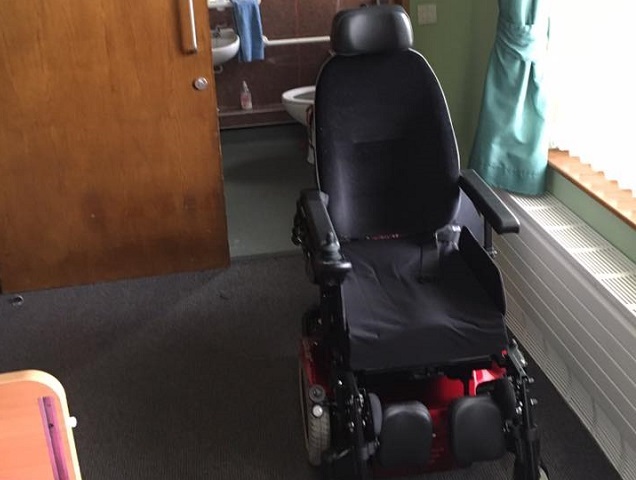 Test out anything from hoist units and beds, through to wheelchairs and scooters and other innovative equipment giving healthcare professionals the ability to think of new ways to enhance the care experience. 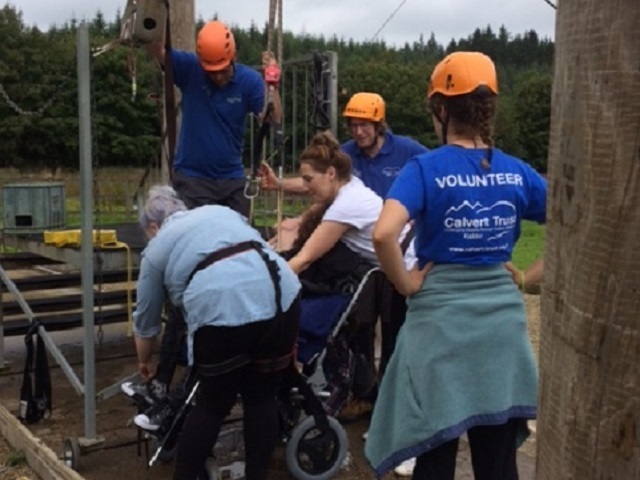 We’re excited to sit in on some of the training sessions with industry experts to discuss how Calvert Trust Kielder encourages and supports disabled people and their family and friends, to gain confidence and self-belief by taking part in challenging outdoor activities during their time with us. 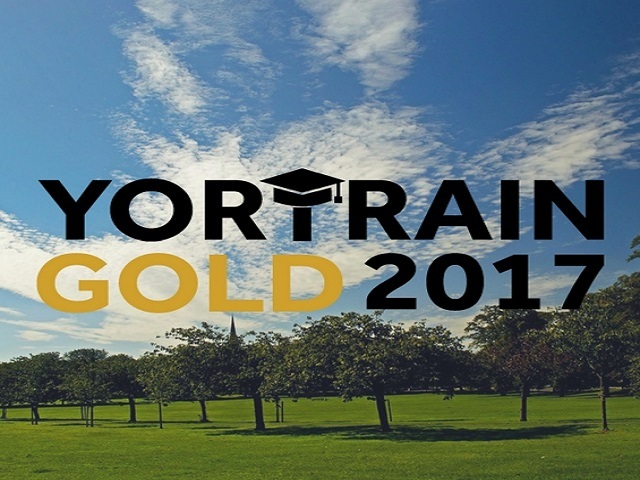 YORTRAIN GOLD gives us a chance to get together with like-minded people to explore and develop new ways to deliver quality, valuable care to people. So if you’re free on Tuesday 3 October and can get to the Pavilions of Harrogate, then reserve your free place now on the YorkshireCare Equipment website. Make sure to come and say hello to us on our stand and get a better idea of how we’re helping to shape residential disabled care. 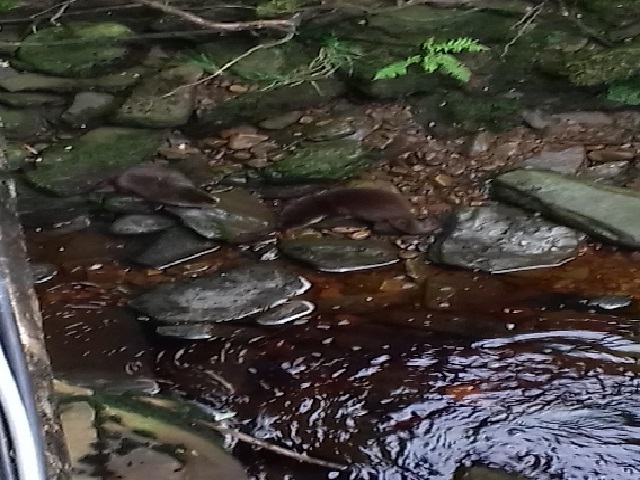 For the first time at Calvert Kielder, otters have been photographed playing in the Cranecleugh Burn. On Thursday 10 August, a guest was able to snap the two otters without disturbing them. Have you spotted them yet? Pete Coulson, Head of Activities said 'They are notoriously elusive and difficult to spot. This is the first time I am aware of that anyone has seen them at Calvert Kielder'. We are super excited to have these otters and can't wait to see what they do next. 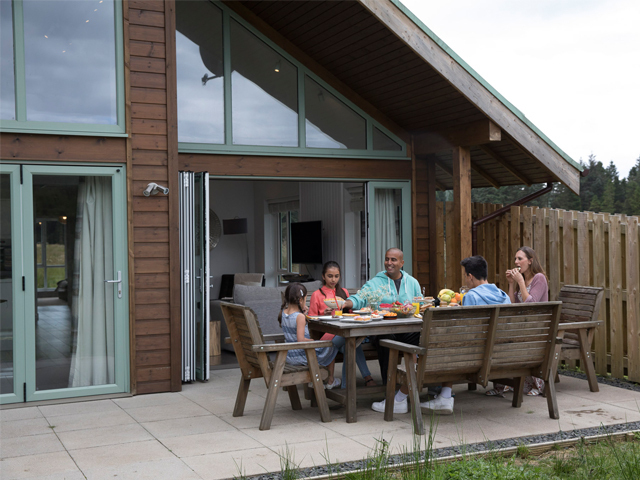 Tyne Tees Models visited Calvert Kielder for a photo shoot with The Sheik family to help create some brilliant pictures for our McArdle Chalet. To view Tyne Tees Models blog about the day please click here. 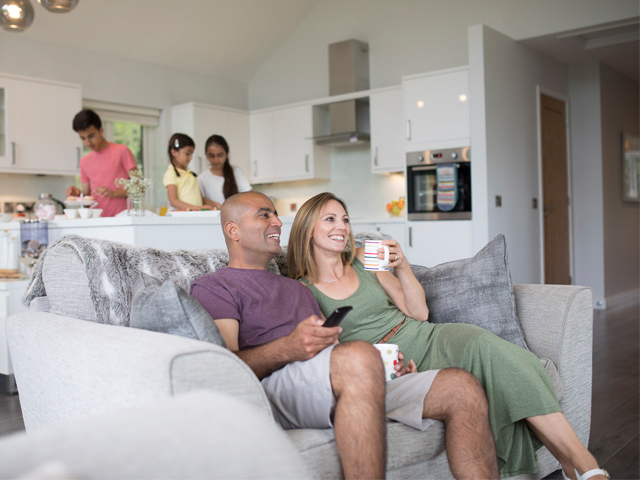 Want to stay in our Executive lodges then contact our Sales Team on 01434 250232. Freddie Matthews gave an excellent talk at Calvert Trust Kielder's latest networking coffee morning, held at Vallum Farm and Restaurant. Chatterbox is a ladies only networking group hosted bi-monthly by Calvert Trust Kielder and Handelsbanken and is an informal networking event where like minded business woman can meet to talk and network. 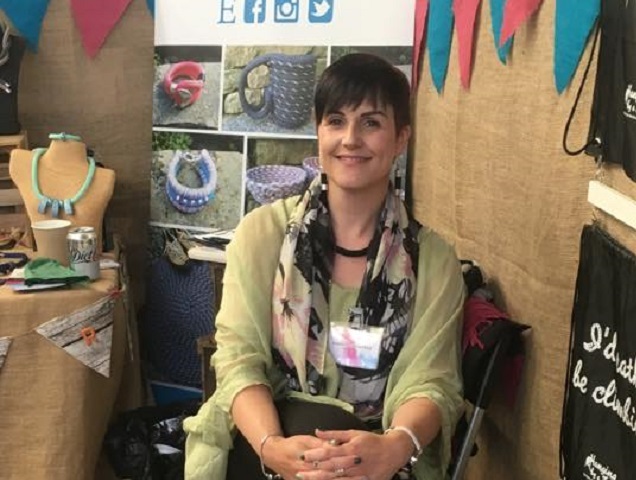 This month's ten minute slot was hosted by Freddie Matthew's of Hanging by a Fred, a fabulous company that creates jewellery, woven mats, coiled rope bowls, key rings, pet accessories, travel mug cosies and more. Freddie gave a very frank and honest discussion as to what made her start this business, how the first two years have been and things she has learned along the way. 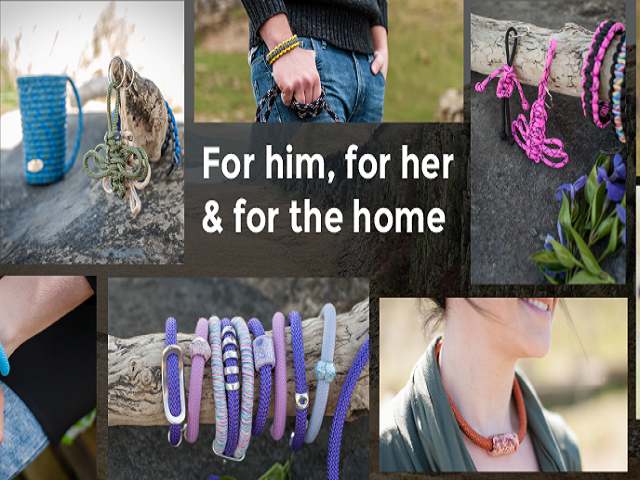 Hanging by a Fred was first started after Freddie's father passed away, struggling with mental health issues Freddie turned to old climbing rope of her father's to create something new from something that was no longer used. 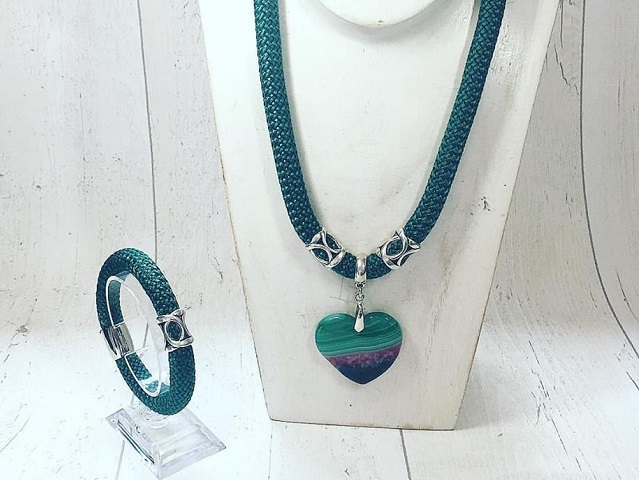 This therapeutic creativity progressed quickly with Freddie now having stalls, her own website and social media pages and recently being accepted by Not on the High Street. She has received funding and has been helped by mental health funding to continue to grow her amazing product and company. Freddie's talk at Chatterbox was inspiring for anyone that has struggled with grief or mental health and her 'Can-Do' attitude shows determination and pride in a product she has grown. Chatterbox is a bi-monthly ladies networking meeting, to find out more please contact Calvert Trust Kielder or find us on Eventbrite.